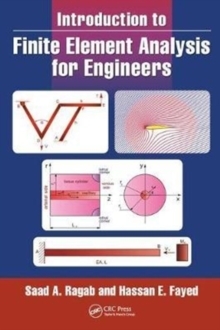 Finite Element Analysis for Engineers introduces FEA as a technique for solving differential equations, and for application to problems in Civil, Mechanical, Aerospace and Biomedical Engineering and Engineering Science & Mechanics. Intended primarily for senior and first-year graduate students, the text is mathematically rigorous, but in line with students' math courses. Organized around classes of differential equations, the text includes MATLAB code for selected examples and problems. Both solid mechanics and thermal/fluid problems are considered. Based on the first author's class-tested notes, the text builds a solid understanding of FEA concepts and modern engineering applications.